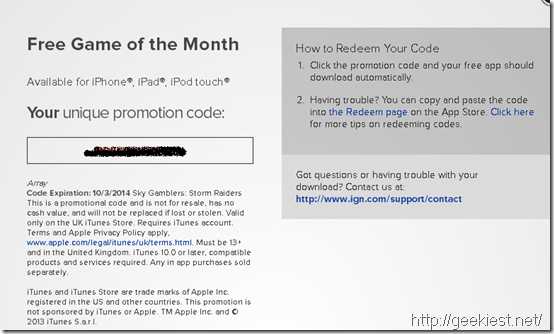 IGN Entertainment, Inc (Gameloft) is running a promotion called “Free Game of the Month” wherein they are giving away “Sky Gamblers: Storm Raiders” game for Free. 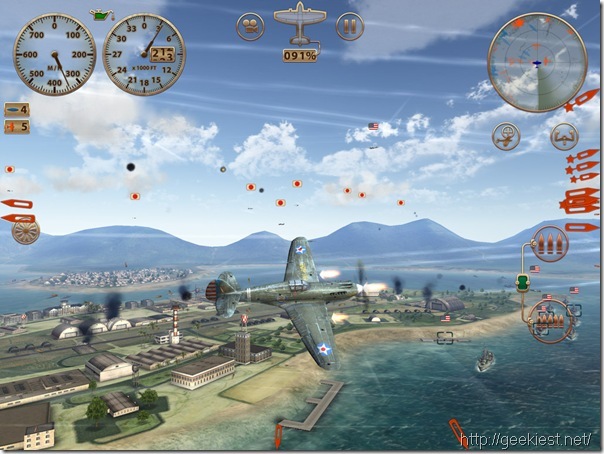 “Sky Gamblers: Storm Raiders” is an Air Combat game based on WWII. 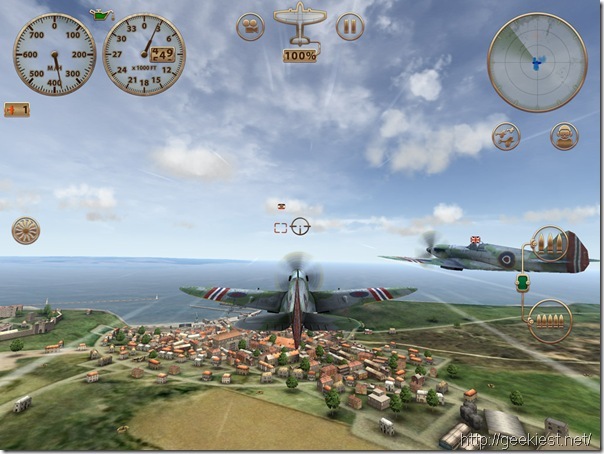 The game, set up in accurately recreated real life locations like Pearl Harbor, Coast of Dover, Midway, Germany and France from WWII, allows you to take part in either the Battle of Britain or Asia-Pacific conflict. You can participate in visceral dogfights, protect cities and fleets, bomb enemy structures, fly through tunnels and fly variety of planes - all in high quality graphics! Unparalleled visuals, special effects and audio including: specular masks, bump mapping, atmospheric scattering, volumetric clouds with realistic lighting, sun glare, day & night transitions, God rays, high definition textures, 4x anisotropic filtering, High Dynamic Range (HDR) rendering, radial blur, heat haze, refractive raindrops and more! Invite your friends to play online! Choose between cooperative and competitive modes: Survival, Last Man Standing, Free Flight, Free for All, Team Match, Capture the Flag and the new Assault. Use Game Center head to head with Voice Chat for the ultimate duel experience. Since this all takes place on Apple devices, iCloud support has been integrated so players can save and share progress across devices while AirPlay allows them to use an Apple TV to play the game on a large display. Climb the Game Center leaderboards, challenge friends and unlock all achievements. 1. Hop to this promotion link. Read further for the list of countries eligible for this promotion. 2. Click on “Get My Code button”. A pop-up box will open as shown below containing the code. 3. Copy the code and keep it safe for redemption. 1. Click on the Code when displayed in Step-3 above. The game will start downloading automatically. 2. Hop to this link and paste your code (from Step-3 above) after “=”, and press Enter. 3. If you still have a problem redeeming the code, hop over to this link on the Apple app store to redeem the code. PS: This game is available only for iPhone®, iPad®, iPod touch® and the promotion code will expire on 10-March-2014. As the promotion code is available on a first-come, first-served basis, do act fast to grab a genuine copy of the game before it’s too late.